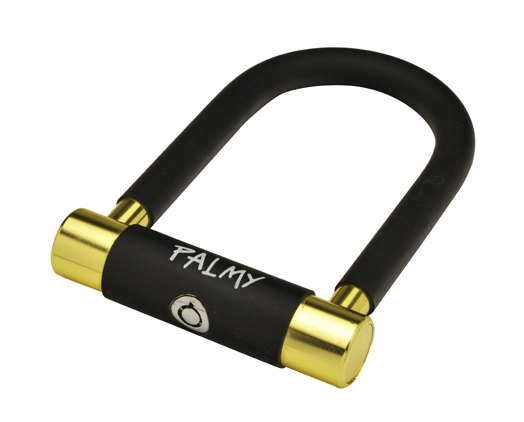 The Palmy Locks are a super light weight and beautifully finished aluminium U-lock. Great range of coloured mini U-locks by Palmy, Japan. The right size to fit in your jeans back pocket. Pretty colours, pocket size and an affordable price make these a great accessory that will fly off the shelves.